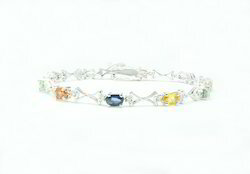 We are a leading company offering Designer Bracelet. 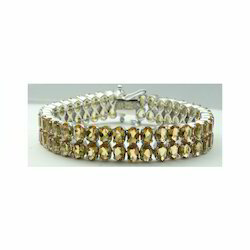 These Designer Bracelets are provided by us at reasonable rates and according to the specifications of clients. To meet the precise demands of clients, we offer a unique range of blue colored Topaz Gemstone Studded Bracelet in silver. These are designed using optimum quality metals which are procured from reliable vendors of the industry. Owing to its designer appearance, fine finish and elegance these bracelets are widely preferred by various style loving ladies. Our clients can also avail these bracelets in customized designs and finish. 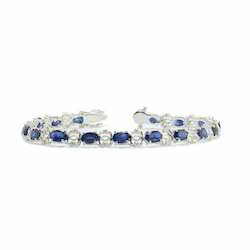 Enriched with vast industrial experience, we are involved in offering a designer collection of Blue Studded Sapphire Gemstone Bracelet in silver. These are embellished with beautiful stones which make these very elegant and eye-catching. 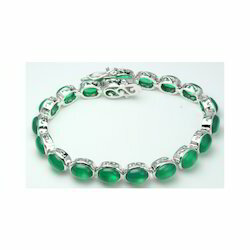 Our bracelets are available in various varieties and styles following the demands of clients. 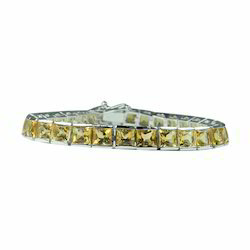 We are offering to our valuable customers a wide range of Citrine Gemstone Sterling Silver Bracelet. These are perfect example of blending between latest and traditional style. Women are the most beautiful creature of the God and we enhance their beauty with our range of trendy, mesmerizing and stunning Stone Studded Bracelet. 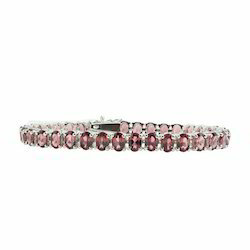 We are involved in offering a designer collection of Garnet Sterling Bracelet in Silver color. The entire range of these bracelets are manufactured from finest quality metal which are sourced from trustworthy vendors of the industry. Besides, these are ideal to catch the eyes of viewers. 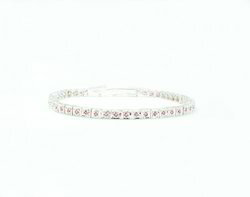 We are offering Silver Designer Bracelet. 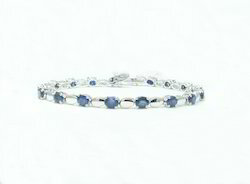 We use advanced technology and fine ores in manufacturing these Blue Sapphire Gemstone Silver Designer Bracelet. It is brilliantly designed with stones which are aligned perfectly that gives extraordinary look to the bracelet. 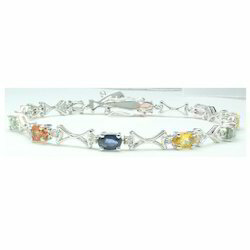 Manufacturer & Exporter of Ladies Silver Bracelet & Citrine Gemstone 925 Sterling Silver Bracelet. Our product range also comprises of Silver Pendant, Silver Bracelet and Gemstone Finger Rings. 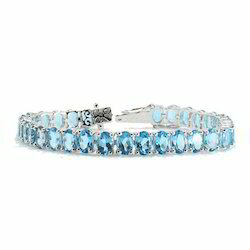 Manufacturer & Exporter of Blue Topaz Gemstone 925 Sterling Silver Bracelet . Our product range also comprises of Silver Pendant, Silver Bracelet and Gemstone Finger Rings. On Request gemstones can be changed to any other stone. 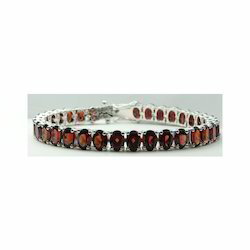 Manufacturer & Exporter of Garnet Gemstone Sterling Silver Bracelet . Our product range also comprises of Silver Pendant, Silver Bracelet and Gemstone Finger Rings.